Our Ford dealership near Battle Creek, Michigan has the complete lineup of new Ford vehicles for sale or lease. 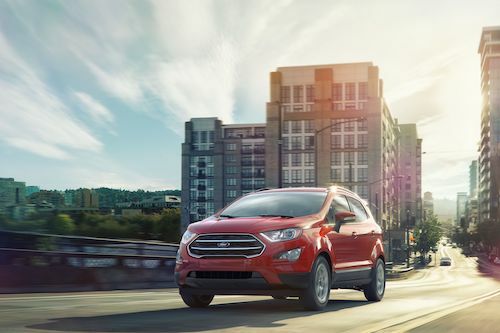 Ford dealer inventory includes the Ford Ranger, EcoSport, Edge, Escape, Expedition, Explorer, F-150, Fiesta, Flex, Focus, Fusion, Mustang, Super Duty, Taurus, Transit and Transit Connect. Stillwell Ford dealer near Battle Creek offers financing incentives, lease deals, rebates and special offers. Our Ford finance department can help arrange affordable monthly car payments. We consider all credit types, including bad credit car loans. Our Ford dealership can help you buy a car, even with bad credit or no credit. In addition to our new vehicles, you will also find a variety of used cars at our Ford dealership near Battle Creek. Ford dealer inventory includes used Ford models, many of which are certified pre-owned Ford trucks, cars or SUVs. For anyone on a budget, buying a Certified Used Ford is a best way to get a reliable, low mileage vehicle at a low price. We offer all types of auto service at Stillwell Ford near Battle Creek. Ford dealer service includes oil change, tune-up, wheel alignment, new tires, battery, brakes, engine repair. We use Ford Motorcraft parts to maintain vehicle performance. Our Ford service and parts departments also offer specials and service coupons to help you save money. We invite you to explore our full inventory for listings of new Ford cars, SUVs, trucks and used vehicles. Compare vehicle details and prices, then test drive a new Ford at our dealership near Battle Creek, MI.